Netflix has renewed the animated comedy F is for Family, for a fourth season consisting of 10 episodes. The adult show is inspired by the life of stand-up comic Bill Burr is set in the suburbs of United States in the 1970s, and features voices of Laura Dern, Justin Long and Sam Rockwell along with Burr himself. 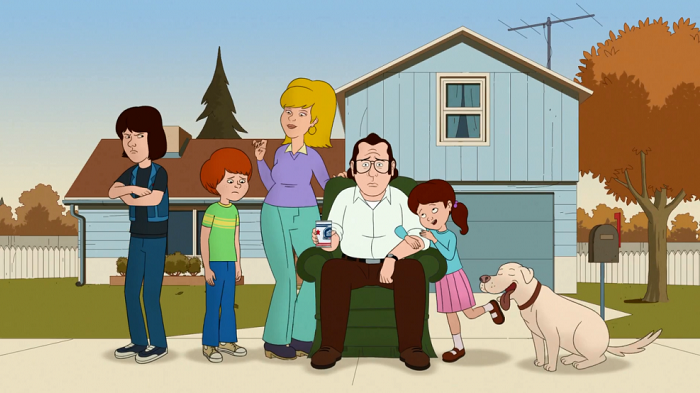 Produced by Vince Vaughn’s Wild West Television in association with Gaumont International Television (Narcos), F Is for Family is executive produced by co-creators Burr and Michael Price alongside Vaughn, Peter Billingsley, Katie O’Connell, Elisa Todd Ellis, Sidonie Dumas and Christophe Riandee. Netflix animation slate includes adult animated comedies like BoJack Horseman, Paradise PD, Disenchantment, Big Mouth and the forthcoming Tuca & Bertie from Lisa Hanawalt and comic Tiffany Haddish. The show made its debut on Netflix on 18 December 2015, subsequently dropping season two on 30 May 2017. However, the series got back to a fourth quarter release strategy when it premiered season third on 30 November 2018. The new episodes are slated to debut in 2020.